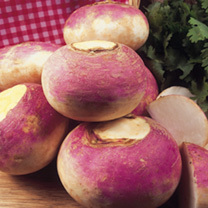 Not only is the actual root of the turnip edible, but the green turnip tops that are produced can be eaten too. 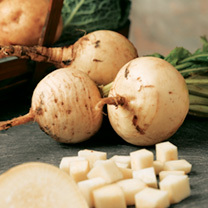 The turnip roots retain their nutrients well and can be cooked, and the turnip tops are great in salads, and can be boiled or steamed. 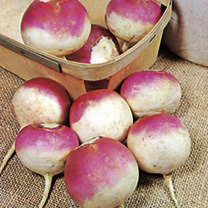 Turnip seeds need to be sown from May to July outdoors (For the turnip tops sow in August). 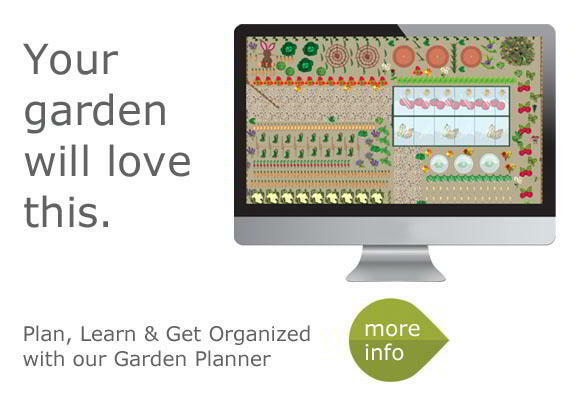 The seeds need to be sown into raked soil in rows that are 30cm apart. 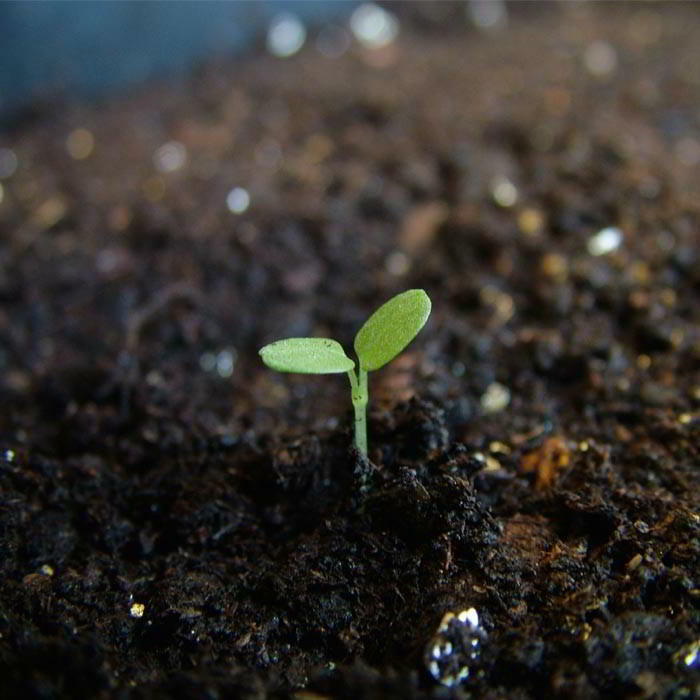 Germination should happen within 6 to 10 days, and the vegetable should reach maturity within 6 to 10 weeks. 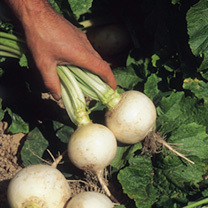 For continuous produce sow turnip seeds successional every fortnight so tender pure white roots can be pulled up regularly. How can I prevent common scab on my turnips? Common Scab is a very common disease of potatoes and is widespread throughout the country and is naturally present in most soils. However this disease can also affect turnips. Severe attacks are most likely to occur on light, sandy, alkaline soils with a low organic matter content and in hot, dry summers. Freshly broken up grassland or ground soil rendered alkaline by the addition of lime contributes to the occurrence of this disease. Variable forms of skin roughness occur, developing most commonly into angular rather corky scabs which may either be raised or depressed. The scabs may occur singly or in groups, sometimes in severe cases covering almost the entire surface. Since this form of scab is usually no more than a skin deep, it should neither affect the keeping quality of the tubers, nor their culinary use, but slightly deeper peeling may be necessary. Storing the tubers does not spread common scab. On light sandy soils dig in a Green Manure prior to planting, if grass cuttings are used the lawn must not have been treated with a weed killer within the last six to eight weeks. Lime should not be applied as this can encourage the disease. 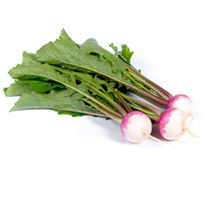 Keep the turnips well watered in dry spells when the tubers are forming. Do not add infected tubers and peelings to the compost bin.